Are you longing to get back in touch with old friends? Want to discover the missing branch of the family? Curious about what Uncle Bob’s been up to since he ran away 50 years ago? With today’s technology, you can track down long-lost family members and friends without hiring a private investigator. The idea of finding a long-lost relative fascinates most of us, as you can see from the popularity of shows like Oprah Winfrey and Ellen DeGeneres reuniting family members. Thanks to the upheavals of the 20th century, there are plenty of times in the last 100 years when family members could have lost contact with each other. Sometimes, they moved away when times were tough, and communication was difficult, sometimes there was a huge family bust-up, and two sides have ignored each other ever since, and sometimes the family ‘black sheep’ ran away and never got in touch again. Time passes though, and today you want to meet your long lost relatives to learn the truth about the feud, fill in your genealogy research, or just fix that hole in your family. Fortunately, with the Internet, there are various ways that you can find long lost family members. Many people think that means hiring a private investigator, but you don’t have to go that far. You can learn from how Oprah Winfrey finds family members to reunite. Her own long-lost half-sister found her by requesting her adoption records and birth papers. Checking birth and marriage records and searching Internet archives can be powerful ways to track down long-lost relatives. 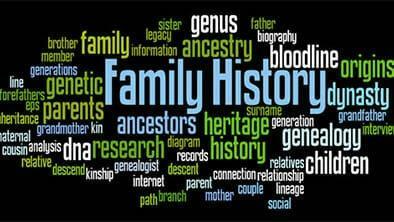 Here are some of the ways that you too can find your long-lost family members. One of the great ways to find long-lost family members is through background checks. Background check companies search millions of public data records almost instantly to produce phone numbers, email addresses, and correct dates of birth (and death, if you’re searching for a relative who’s been out of your life for decades) for long-lost relatives so that you can get in touch. Often, you’ll get useful information even if you’re not sure of the correct spelling of the person’s name. Background check companies can’t persuade your family member to meet you, but they can help you get back in touch. Here are some of the best background check companies for finding long-lost family members. TruthFinder helps people find reliable information about long-lost family members, new neighbors, or potential dates. TruthFinder scours millions of entries in USA public records, social media profiles, court judgments, and other archives that are open to the public. There’s nothing shady about it; you’re legally entitled to access this information yourself, but it would take you years to carry out a search that TruthFinder can do in seconds. TruthFinder costs $30 for one month and $78 for a three-month membership, which gives you unlimited standard searches. It costs under $2 per lookup for the phone lookup plan and has no free trial. Visit TruthFinder here or read our full review. Instant Checkmate searches local, state, and federal records to bring you reliable information about your long-lost family member. They only search public records that are legally open to every citizen, but they can search more in 2 seconds than you could get through in 20 years! You can search Instant Checkmate by entering a person’s full or partial name and their last known location. You don’t need an exact street address or any other details – Instant Checkmate will find all that for you. A standard subscription costs $34.78 per month or $83.47 for three months for unlimited standard background reports. For an extra $19.99 each time you can add a premium report. There’s no free trial, but you can try it out for just $1 for 5 days. Visit Instant Checkmate here or read our full Checkmate review. BeenVerified costs $26.89 for a one-month membership and $52.44 for three months of membership, which gives you unlimited people searches. You can also purchase a Comprehensive Report upgrade for $9.95 per report which will give you even more in-depth information. BeenVerified offers a Court Runner add-on service, which sends an employee to county courthouses to check their not-yet-digitized records. This costs an extra $19.95 per report, plus additional court administration fees. Visit BeenVerified here or read our full BeenVerified review. You can start getting excited from the moment you begin entering information into one of these background check companies. It depends on how much of the information you have to begin with, but soon you’ll have all the details you need in order to get in contact with your long-lost relatives. You might as well start planning the family reunion right now!